This was an AllRecipe‘s project for July in conjunction with the Bird’s Eye® folks using their Recipe Ready® frozen veggies. I know they recommend this particular blend for fajitas and Mexican-style dishes, but this was just perfect for pepper steak! The original recipe on the site was quite basic. I wanted something a bit more flavorful, so I tweaked this and tweaked it a great deal. 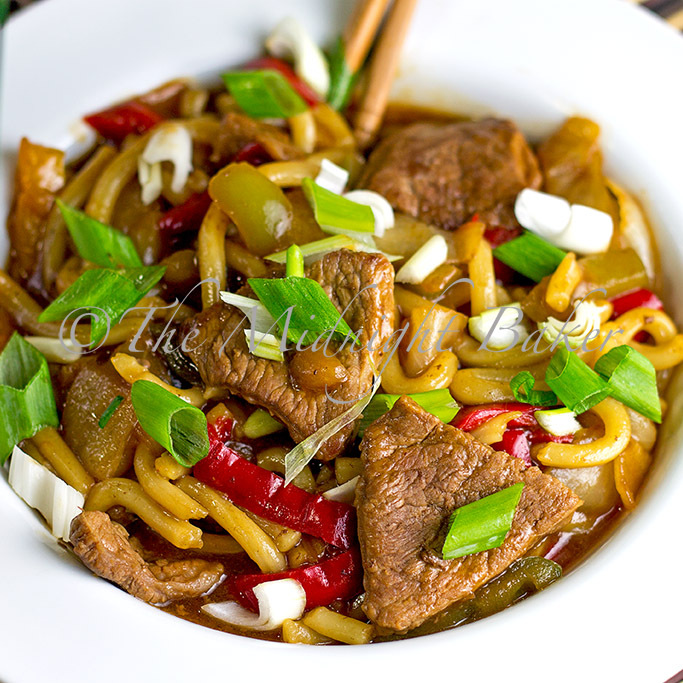 It’s re-birth is more like a pepper steak come noodle bowl. At any rate, it’s delicious. This could definitely be made without the meat, making it vegetarian. 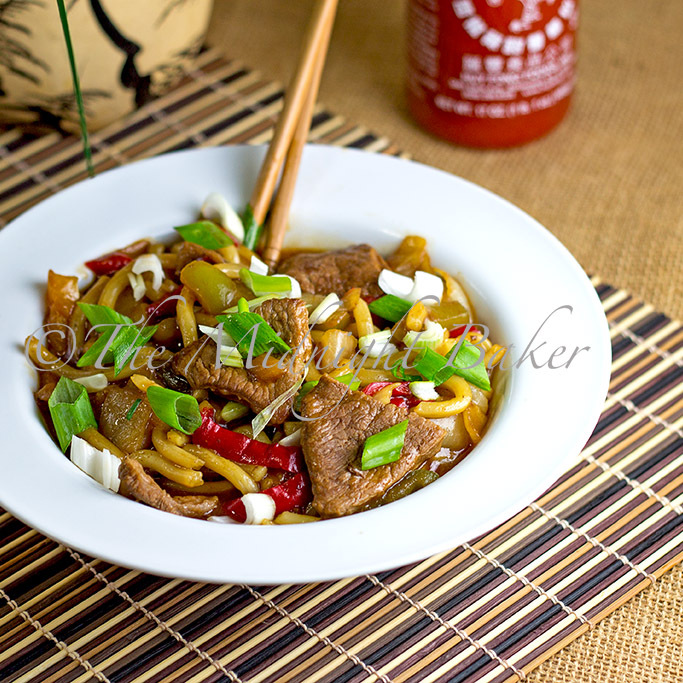 The Udon noodles are thick and chewy and so satisfying, meat would not be missed here. Mix sauce ingredients; set aside. Mix thickener ingredients; set aside. 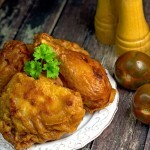 Heat oil in a large skillet or wok over high heat. Add steak and garlic and stir fry until browned on both sides. 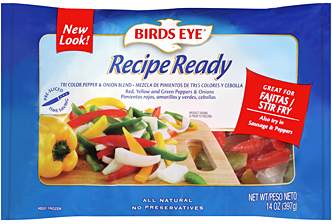 Add the bag of Bird’s Eye Recipe Ready® Tri-Colored Pepper & Onion Blend (or regular bell pepper strips & chopped onion as stated above). Stir fry until no longer frozen and heated through. Add the Udon noodles and stir fry until heated and separated. Add the sauce mixture and toss until everything is coated and sauce starts to bubble. Add the cornstarch mixture and stir until mixture begins to boil, stirring constantly. Boil for 1 minute. 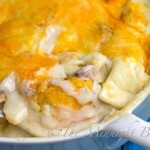 NOTE: I’d recommend making this with fresh veggies and not frozen. Even though the veggies tasted good, they were a bit soggy and not crisp because they were frozen. Products received from advertiser are only used for experienced-based reviews on The Midnight Baker. 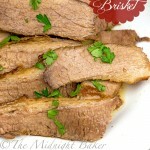 The reviews, content and opinions expressed in this blog are purely the sole opinions of The Midnight Baker. 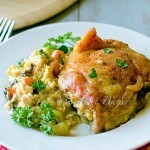 This blog was written in support of Bird’s Eye and their Recipe Ready frozen vegetable blends.